"For all its staid traditions, baseball does evolve. If you have an idea, no matter how preposterous, chances are it will eventually get a hearing. (See the Chicago White Sox's brief experiment with Bermuda shorts). Some of these ideas are probably not going to be adopted. Longtime designated hitter Jim Thome, for instance, believes the rules should be changed 'to give the hitters four strikes.' Other ideas, like the world's first $2,625 baseball ticket, on sale now at the new Yankee Stadium, may prove to be significantly ahead of their time. For as much progress as there has been in baseball, there are still some old notions and orthodoxies that ought to be reexamined -- and some new ideas that might need some rejiggering. 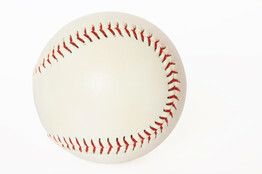 Here are a few baseball ideas that are dubious, wrongheaded or just downright illogical."